High intensity focused ultrasound, more commonly known as HIFU, is a medical procedure that uses the high intensity ultrasound to heat the local tissues beneath the skin and destroy them permanently, without any downtime. The HIFU treatment traces its origin to the 21st century, with its profound establishment in the year 2012. Since then, this method is utilized for wide variety of purposes. It is quite fruitful for face lifting and prevents sagging skin. The HIFU process is modernized and is recognized around the world. The treatment has been proven in a track record, owing to the use of ultrasound since the last 50 years. 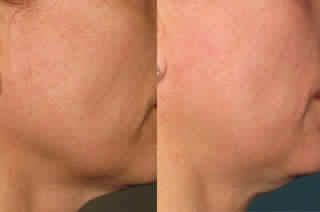 It is all the more non-surgical process that helps in lifting chin, cheeks, lips, jaw lines, brows and neck areas. This treatment is quite innovative and painless. In modern days, more matured men and women are embracing the treatment for a better look and feel. The main principle behind the High Intensity Focused Ultrasound lies in the magnet. It uses tried-and-true ultrasound system. The technology contains Ulthera. By means of Ulthera or Ultherapy; it radiates heat energy into the skin. This non-invasive ultrasound energy generates low heat levels in the targeted area of the skin. The heat produced from the ultrasound reaches the deepest layers of the skin and destroys the damaged tissues forever. The skin cells are stimulated for production of collagen as well as tissue rejuvenation. By doing so, skin that has matured starts working hard from retaining its glow, brightness and vibrancy. With the help of heat energy, mature tissues die, sagging and lose skin reduces and patients are gifted with wonderful skin quality, probably the skin they enjoyed in their youth. In serious cases of skin sagging and loosening, the Ulthera is combined along with thread lift (a non-surgical procedure), for better and effective results. The main effect of the treatment lies in the smoothness and firmness of the skin. Cheeks, jaw line, lips, neck and overall face gets a push-up. Skin regains its appeal and look, post treatment. Ulthera is responsible for stimulating the production of strong collagen within the skin. Collagen regains its power to stand up against the gravity, which tends to pull our skin downwards. There is no long term complication of this treatment. The skin of the patients gets introduced to new proteins, formed in the collagen. This also boosts health and has additional health benefits. Eyes appear more open and bright. Dull and gloomy eyes are best treated though this new medical method. Brows get finely lifted. They also get a firm shape and length. Fine lines, scar marks, ageing signs, wrinkles and skin pores in the face gets reduced, thanks to hifu therapy for face. Skin also becomes brighter and glows. The tone of the overall skin improves to a greater extent. It restores its elasticity and strength. With more sessions of treatment, fine quality skin can be enjoyed. The hifu therapy for lifting facial skin and neck areas is natural way of getting a lift. There are no side effects of this unique treatment. The treatment only targets the old and damaged tissues, without affecting the surrounding tissues. It is not a surgery; therefore patients need not undergo too much pain. It is an ideal alternative for those who want to have a face lift without any medical operation. After the treatment, patients boost their level of confidence. They become more presentable and smart. There is a significant change in the attitude of the patients. Skin feels softer and trimmed. Excess skin gets removed. Loose and sagging skin is best prevented. Skin also improvises in terms of quality and becomes healthier. Finally, patients look and feel younger, thank their age. Mature skin gets replaced by young skin. How long does HIFU Effect Last? 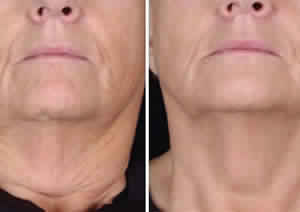 Patients who develop fresh collagen, witnesses the results even after a year. However this varies from patients to patients and depends on the condition of the skin. Patients also need maintenance treatment after one year to see the results sustained. The additional touch-up treatments in future is recommended so as to keep pace with the ageing process and look. Faster a patient develops ageing signs; more touch-ups are required. The time taken for the High Intensity Focused Ultrasound varies according to the area covered. A full facial lift that includes lifting of jaw lines, cheeks, lips, brows and forehead, consumes around forty-five to sixty minutes. Whereas, a partial facial lift may take around thirty minutes. There is no downtime and patients can regain their normal activities, soon after treatment. Initially, patients undergoing the Hifu may witness immediate effects. However, for ultimate lifting and toning, it takes more than two to three months for the results to be visible prominently. 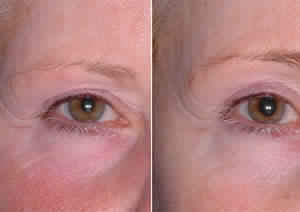 It is so because mature collagen takes time to replaces itself with firm and more elastic collagens. With the process of building of collagens, further improvements can be noticed by six months, after the treatment. How many sessions are required for HIFU? The HIFU therapy for face requires only one session. However, the number of sessions also depends on how the body is responding to the medical treatment as well as time taken for the collagen-building process. The patients, who undergo more than one session, have additional benefits from this procedure. One who has sagging skin, loose jaw lines and cheeks, dull and gloomy eyelids, sullen lips should avail the medical service for effective results. Those who have mild to moderate skin laxity are the ideal candidates for the treatment. The HIFU therapy for face lifting shall work wonders for those who have developed or developing mature skin. Probably, women above 50s & men above age 55 are the best candidates for the treatment. Consult now to get this amazing treatment for Face Rejuvenation/Face Lift at Care Well Medi Hub in Delhi (South Delhi), India.